The land area of Shanghai is 6340.5 square kilometers, which covers 16 municipal districts. It belongs to the north subtropical monsoon climate. Shanghai’s GDP ranks first in Chinese cities and second in Asian cities. Shanghai is a famous financial center in the world, Click Here For More. one of the largest metropolitan areas with the largest population and area. It is ranked sixth by GaWC as the first-tier city in the world. Shanghai’s “National Central City Index” ranks second in China, with total household deposits and per capita household deposits ranking second in the country. In 2017, the total number of high-tech enterprises in Shanghai reached 7642, ranking first in Forbes “list of the best commercial cities in mainland China”. Shanghai is situated between 120 degree 52’ to 122 degree 12’ in the East longitude, 30 degree 40’ to 31 degree 53’ in the North latitude. Its land area is 6340.5 It is bounded by the Yangtze River in the north, the East China Sea in the east, Hangzhou Bay in the South and Jiangsu and Zhejiang provinces in the west.Click Here For More. 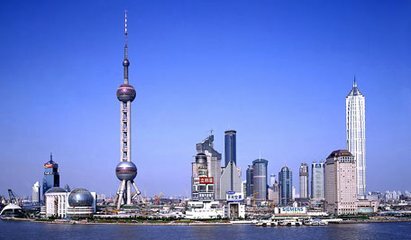 Shanghai is a part of the alluvial plain of the Yangtze River Delta, with an average height of about 2.19 meters above sea level. The highest elevation is Dajinshan Island, located in Hangzhou Bay, Jinshan District, with an elevation of 103.70 meters. Shanghai is a subtropical monsoon climate with distinct seasons,Click Here For More. abundant sunshine and abundant rainfall. Shanghai has a mild and humid climate, short spring and autumn, and long winter and summer. In 2013, the city’s average temperature was 17.6 C, sunshine was 1885.9 hours, and precipitation was 1173.4 mm. More than 60% of the annual rainfall is concentrated in the flood season from May to September.